The devastation of Hiroshima was on the very the day my parents married, happy celebrations in the West providing a stark contrast in a globe divided. Sixty eight years on, the madness and horror remains. While millions go hungry, the earth’s resources and the labour of men and women goes to waste, nuclear missiles are still being developed. Science and intellect would be far more wisely directed to feeding the world, protecting the planet and medical advancement. The horrors of war, of greed and selfishness divide a species bent of self destruction. When will mankind wake from this stupidity, and learn to live in peace? 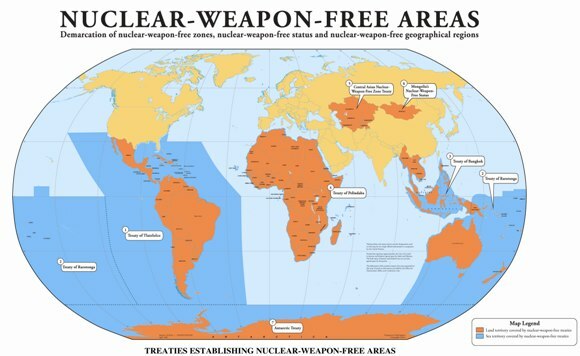 The nuclear Non-Proliferation has brought about nuclear weapons-free zones in Latin America, Africa and central Asia, as well as providing the basis on which Iran can be brought into negotiations with the rest of the region on a nuclear weapons-free Middle East. However, the US and the rest of the Western world turn a blind eye to Israel’s nuclear weapons. Such are the double standards that are applied where Western interests are concerned. Earlier this month there was a parliamentary debate on the replacement of the Trident nuclear weapons system. Each warhead that is now held by Britain – or indeed any of the other seven nuclear-armed countries – is probably 30 times more powerful than the Hiroshima bomb. The point is that if someone possesses nuclear weapons, one must assume they’re prepared to use them. I will be in Tavistock Square next Tuesday at midday as part of our annual commemoration of Hiroshima Day to redouble our efforts on a world based on peace and justice, not on war and threats. The potential cost is around £100 billion, on top of the £3bn that will have already been spent by then on preparation and long-lead items prior to the construction of the new submarines. Now is the time to campaign against Trident renewal, and to divert the investment into sustainable, useful jobs in shipbuilding and engineering, rather than constructing a high-tech vessel to potentially destroy the world. This entry was posted in crime and civil liberties, Environment, Foreign Affairs, Health, Opinion, Racism, Topical News, Uncategorized and tagged Hiroshima, Nagasaki, Nuclear, nuclear missiles, Trident by Pamplemousse. Bookmark the permalink. The Cold War is over and Nuclear weapons should be dismantled. People travel far wider and a nuclear weapon would certainly kill more than one nationality. I would seriously doubt the mental stability of anyone who would consider using a nuclear weapon.